With our new recycling bin system we bring recycling to the next level! 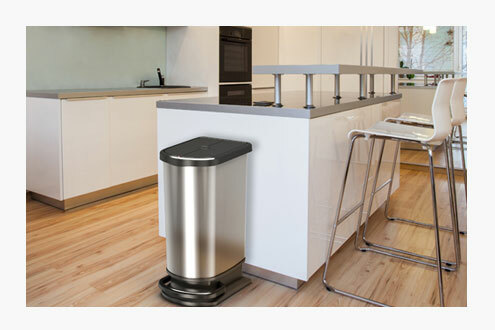 Finally a functional and design-oriented product for the waste separation at home! 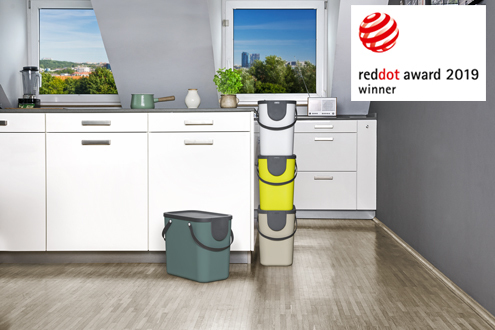 Thanks to the narrow shape and the trendy colours, the recycling bins can be proudly shown in your kitchen, where most of the waste is being produced. The modularity and perfect stackability emphasize the well thought-out system. 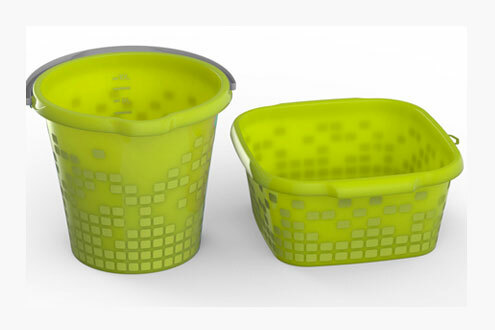 Thanks to the very flexible and resistant material, the laundry basket can be carried ergonomically. 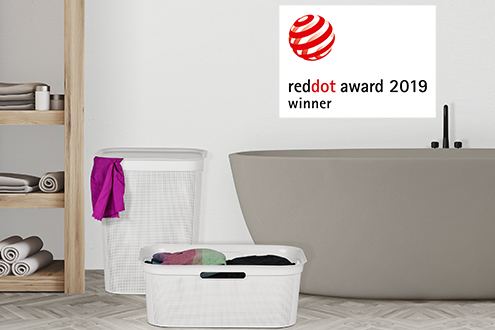 The nice and neutral design of the hamper fits all interior's styles in bathrooms or bedrooms. 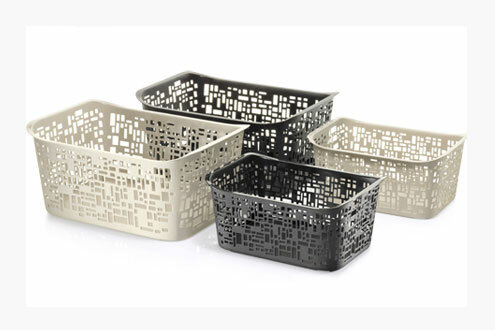 The stylish boxes with a timeless design which fits every interior's style! 4 different sizes - different purposes. The light and functional boxes help you to keep your living room, bedroom, bathroom or children's playroom clean and tidy in a stylish way. The evolutionary box system - created by Rotho! 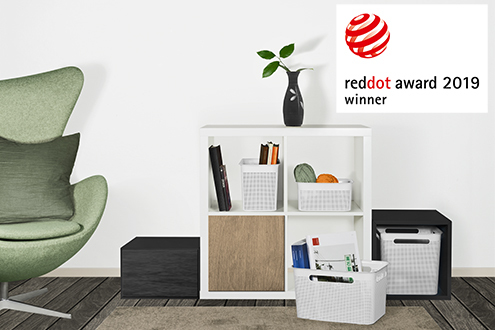 The new EVO family, with three different ranges - as requested by the customer - is multi-functional, stable and ergonomic, and help you organise your home. To help you keep a better overview of things, the boxes can be equipped with accessories. 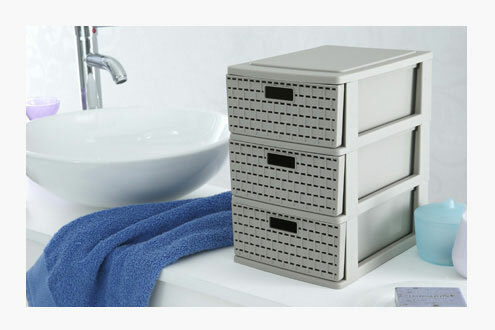 Find out more about our clever storage range! 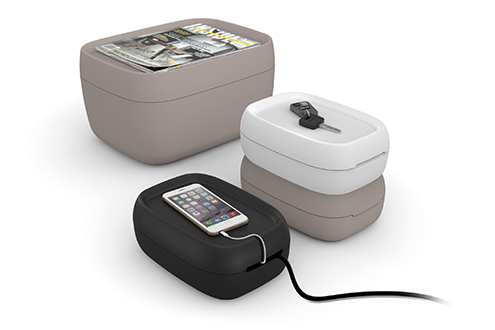 The new SOFIA box combines temporary and permanent storage in one box. But SOFIA is more than just a box, thanks to its stylish design it is also a piece of furniture, which can be perfectly integrated into your living room. Our successful and stylish PASO range has a new member! 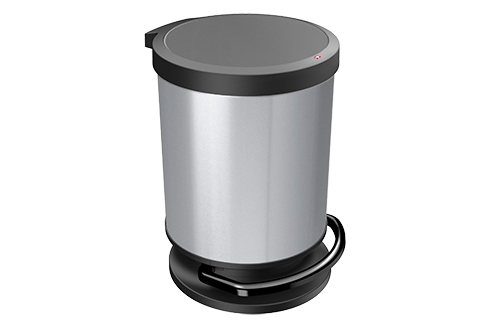 Our new round 20 l pedal bin impresses with the renowned sophisticated benefits of PASO: No fingerprints, dents or rust, a comfortably-sized hole and rubber bases to ensure a stable position. The SUNSHINE family has a new member! 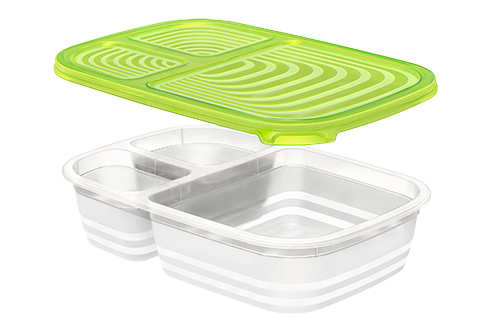 The new refrigerator box Multi, with three compartments, is ideal for keeping meals both fresh and for taking them with you. 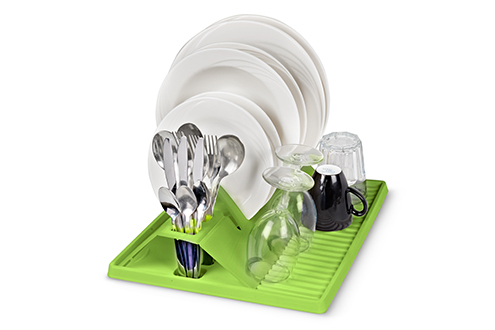 The clever collapsible draining rack is easy to assemble and can be folded up when not in use, and stored in a drawer to save space. The new MEMORY KIDS range is perfect for your kids! 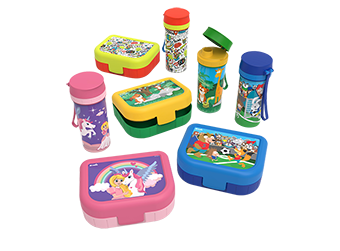 This range is made in Switzerland and is 100% airtight, and offers various child-friendly features, all of which make it ideal for transporting drinks and snacks. The products are also available in a practical gift pack - consisting of a bottle and a snack box. Tired of looking for an ideal container for taking soup with you? Rotho can help! The double walls of the thermo cup keeps soups and drinks, depending on the wish, either longer hot or cold. Of course, it’s 100% tight, so the liquids stay where they belong. The thermo cup is part of our new serie MEMORY B3 and so are additional helpful containers for taking every kind of food with you – no matter if to the school, to the office or for a picnic. MEMORY B3 has the right product for every purpose. Look and see our video. The fridge – a place with hidden, long-forgotten secrets. It doesn’t have to be that way. Our fridge organizers LOFT are the ideal solution to clearly organize all possible types of fridges. Side by side, the three sizes fit perfectly on the different shelves of a European fridge. So what are you waiting for? 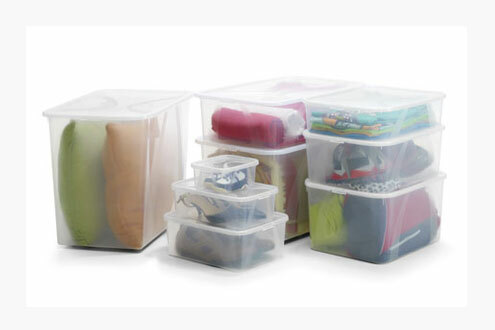 You will love our smartly-designed, highly-transparent and ergonomic organizers. Look and see our video. The microwave-plate XL for a big appetite. Due to the practical removable devider, the different food and sauces don't mix up even during transport. In the additional single box, a certain side dish can be heated separately in the microwave or a small salad or a dessert can be transported space-saving in the same container. The microwave-plate is 100% tight and thus perfectly suitable to go. The waste bin with a noble metallic look. 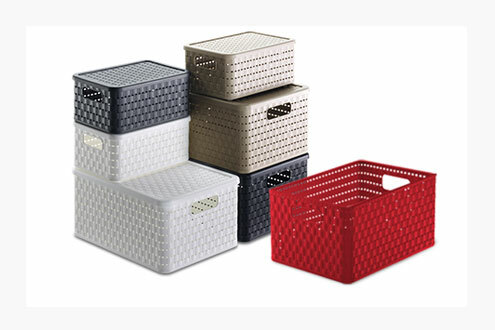 Unlike metalbins, on the PASO you won't see fingerprints, won't have to fear dents nor rusting. A smooth push on the pedal allows a comfortable opening. A separate ring in the interior of the bin hides the binliner elegantly. Rubber legs avoid slipping of the bin while opening it and the slowly closing lid offers maximum comfort when closing it. MEMORY - The cleverly-designed system made of matching colours and symbols. The long search for the right bottom sections and lids has come to an end. The new range MEMORY has the answer! 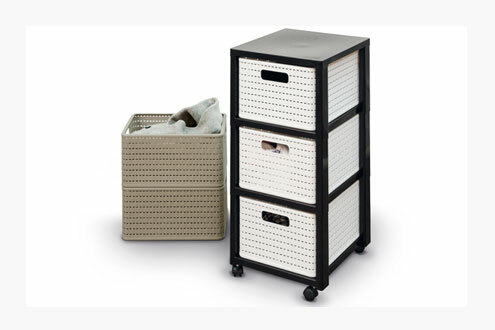 Laundry to go - simply with our innovative laundry hamper FABU! Design and functionality in one with its combination of easy-care plastic and permeable to air fabric bag. Once the laundry hamper is full, you can just easily transport the laundry to the washing mashine with the inner fabric bag. Look and see our video. Our popular swing bin TWIST - now with a classy metallic look. The high-quality swing bin allows a space saving waste management, thanks to the slim, square shape! 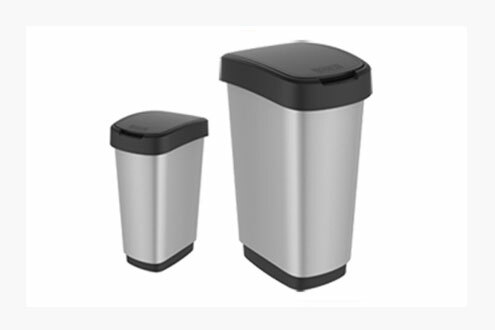 The new 50 l oval PASO pedal bin with attractive metal casing. Stylish waste separation. 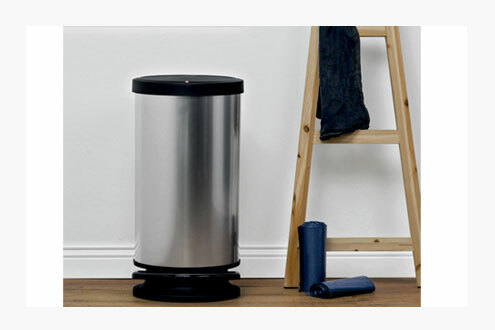 Thanks to its oval shape the new PASO waste bin also fits into smaller spaces! The ingenious storage system with click fasteners. 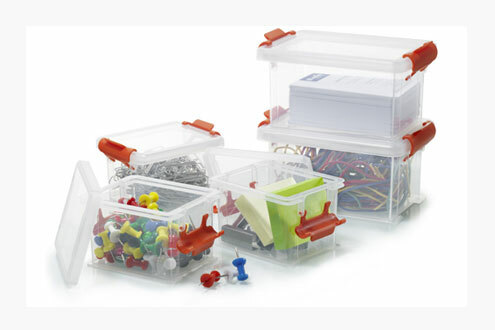 For the systematic storage of all kinds of bits and pieces! Storage in an urban style! Thanks to its simple yet unusual structure it can be used in the bathroom, kitchen or children's bedroom! The robust cleaning aid with an unusual design. The modern design and fresh colour scheme of the basin and bin enliven dull cleaning routines! The ideal addition to our successful COUNTRY range! COUNTRY now available in new sizes. The successful COUNTRY range now in three new attractive sizes! The small, practical drawer box in a Rattan look. 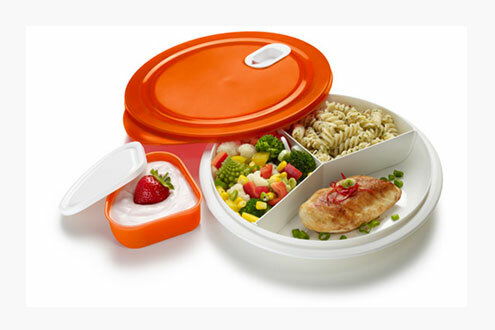 The ideal addition to the COUNTRY range for storing all possible kinds of small utensils! 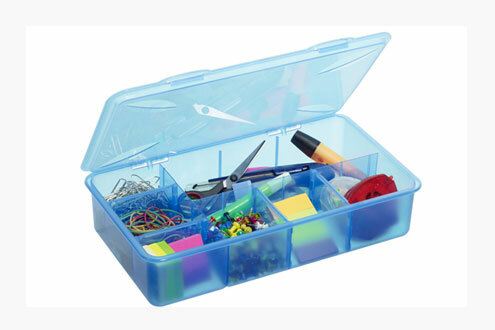 Thanks to the two fixed and 6 flexible compartments, the box is perfect for all kinds of bits and pieces! The new storage line ARCO. A symbiosis of elegance and functionality in one range of boxes! Our popular COMPACT box family is welcoming a new addition. 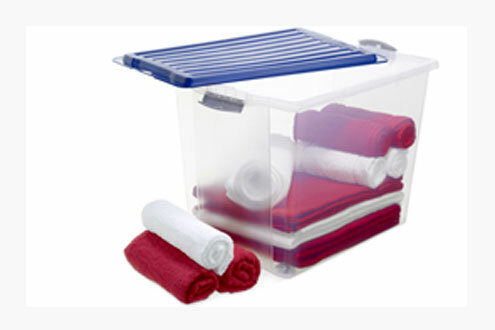 The new 70 litre box in A3 format with rollers is perfectly suitable for storing voluminous items! Perfection in design and high-quality materials. 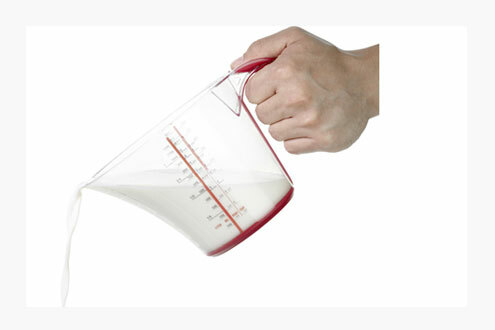 The sophisticated LOFT measuring jugs are a must-have for every kitchen! Bringing together all the everyday basics. 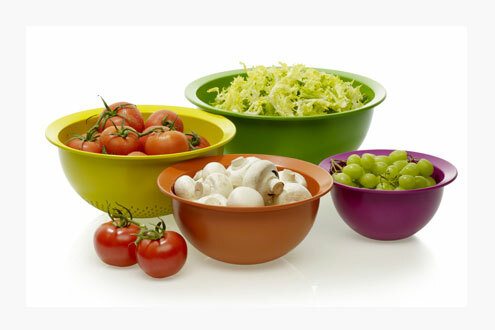 The space-saving and attractive CARUBA bowl/sieve set! The perfect complement to our successful SUNSHINE range. 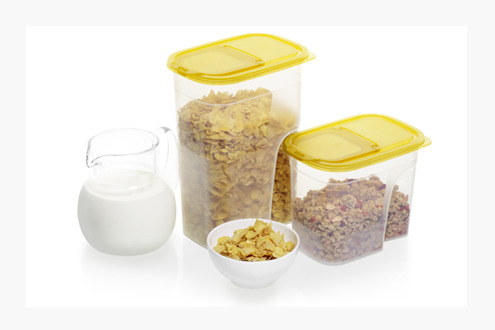 Ergonomic and ideal for cornflakes, muesli and other cereals! 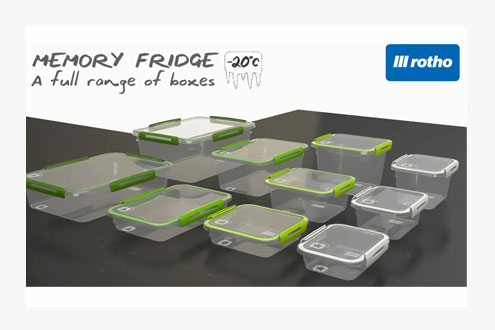 The perfect addition to our refrigerator box range CLIC & LOCK. 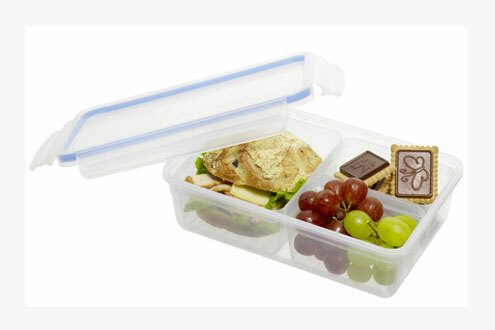 The three practical compartments provide space for various snacks! 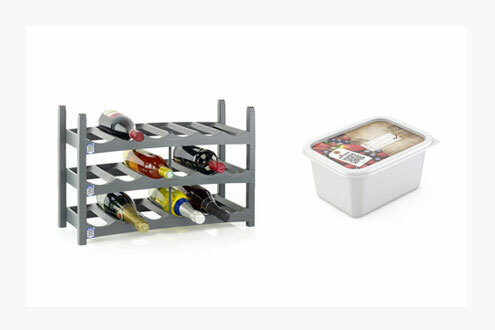 Our practical storage app "App my Box" - now also equipped for Food and Wine. App my Box can also be linked to your fridge or wine cellar and using the reminder function, it tells you when it's the best time to enjoy your food or wine.